CHAMP Graduation! | Half Heart. Whole Life. 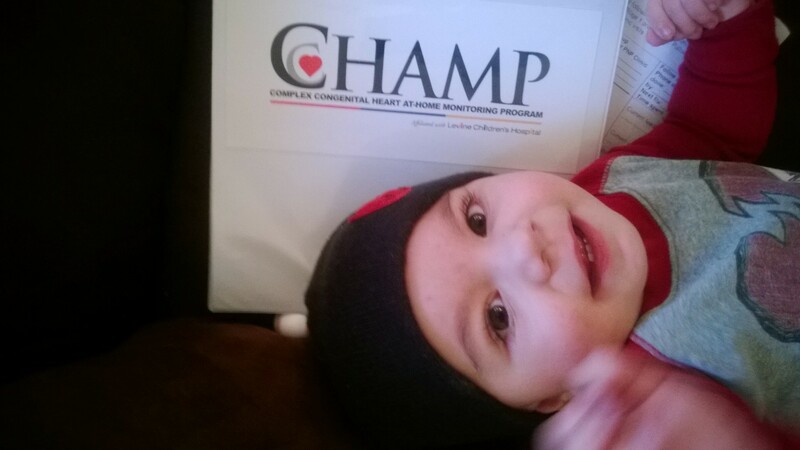 Some time ago I wrote a post about the CHAMP Program at Levine Children’s Hospital (read it here: https://hlhsdad.wordpress.com/2014/01/08/the-champ-program/). 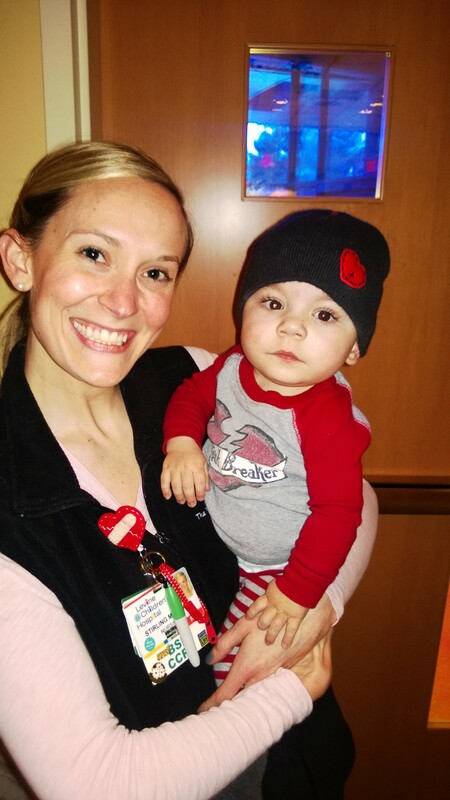 Long story short, the CHAMP Program was designed by the heart team as an effort to keep heart babies healthy and surviving during the period between the Norwood Procedure and the Glenn Procedure (aka the Interstage). 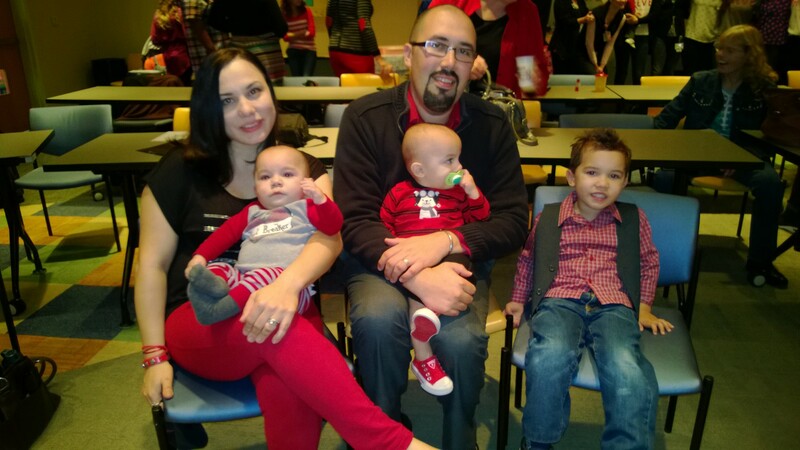 From Feb 13, 2013 to August 7, 2013, we weighed Nolan everyday, read his pulse ox, and recorded it in a binder. After the Glenn Procedure was complete, we were told we could throw the binder away. Did we throw it away? Absolutely not, but it was a great feeling to know he was past this point and on to bigger things! 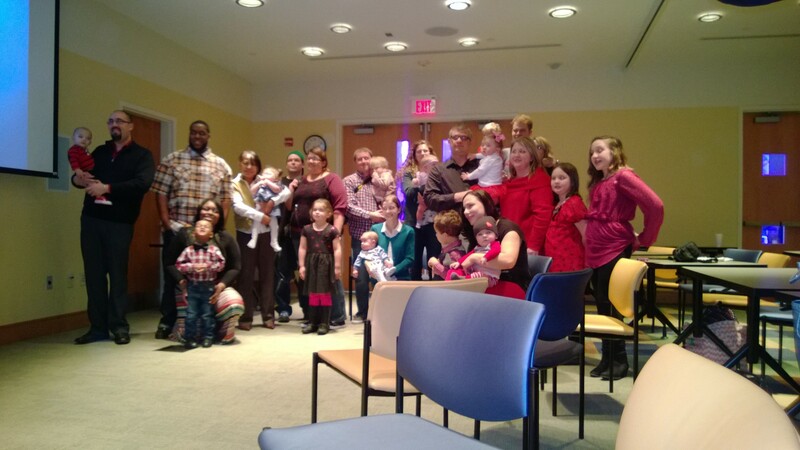 Well yesterday was a very exciting day as we got to bring Nolan and join in with 5 or 6 other families to celebrate our little heart warriors with a CHAMP Graduation ceremony at Levine Children’s Hospital! Nolan also got some media love that day (check it out on his facebook page: facebook.com/SupportTeamNolan). 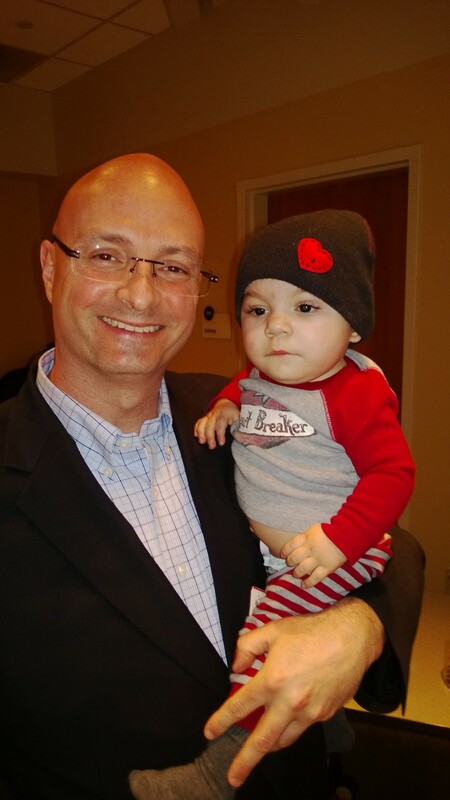 He was loving all the attention, I know that’s for sure! So congrats to all the CHAMP Grads! Onward to bigger things! Get a job! Just kidding. 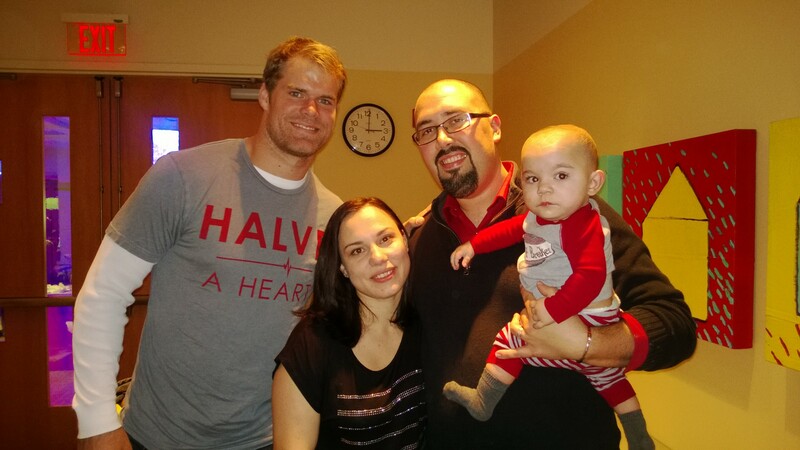 Posted on February 10, 2014, in awareness, Care at Home and tagged CHAMP Program, CHD, congenital heart defect, Greg Olsen, HLHS, hypoplastic left heart syndrome, Levine Children's Hospital, Panthers. Bookmark the permalink. Leave a comment.